Our 2015 Chevy Sonic 1.8l used a paper cartridge oil filter w/ a plastic oil filter cap / cap . The AC Delco item + shipping was cheaper than a Dorman , purchased locally . Figured , since it is made of plastic , sooner or latter I will dumb up and mess it up . So I ordered one , just in case . I located a magnetic drain plug on the AAP website , ordered it online w/ a Speed Perks discount . Will pick it up latter today . Think it will fit both the Sonic & our 2006 Buick Lacrosse CX 3.8l . The Sonic had its oil changed this last weekend , the Buick a month or so ago . The Sonic will probably come up for another oil change , before the Buick ( not a daily driver ) . May get another magnetic drain plug , eventually for the Buick . It pays to shop around . The cap okay not a bad idea but if either engine is shedding enough metal to the point that drain plug will make any difference there is something really going wrong. IMO you would be better of just going to the dealer and buying an OE gasket. If it must be a magnetic drain plug for peace of mind reasons then at least make it a good one like the ones from gold Plug and buy some replacement gaskets with it. Trav has an excellent point. I recently purchased 2 magnetic plugs, one from amazon and the other from ebay. Both were subpar compared to my Gold Plug. Out of curiosity I used my Gold Plug to pick up my craftsman wrench and it worked (as advertised). The subpar ones didn't even come close. Have not opened the little blister pack the drain plug came in . Will check it out & see how strong the magnet is , next oil / filter change . 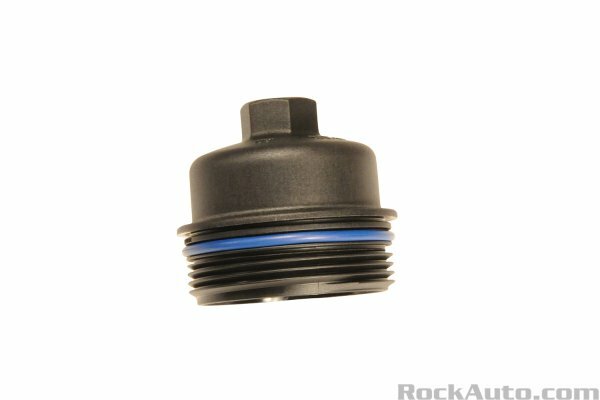 Probably be late this week / early next week before the oil filter cap / cover arrives from RockAuto.com . As long as I do not dumb up and damage the original oil filter cap / cover , the new one will reside on a shelf . Have no evidence either engine is shedding metal , but think of it as a relatively cheap experiment . Can not see it will hurt anything . No its not going to hurt anything and if the magnet is strong enough and there is any minute metal particles that end up on the magnet it better than going through the pump. As a tool I guess its not bad idea, if you start seeing more chaff on the thing than usual it might be a good indicator to do a UOA if it is not part of your regular maintenance.